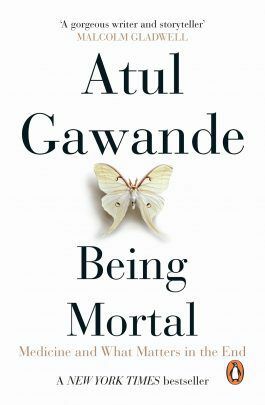 I recently finished Atul Gawande’s book Being Mortal. It was given to me by a friend from church who recommended I read it, and I’m glad I did. Atul Gawande is an American medical doctor, the son of two doctors who immigrated to the U.S. from India. He was raised nominally Hindu, but by his own admission he is functionally secular and non-religious, and the focus of his book is not at all on giving hope beyond this life, only on dealing with the death from a clinical perspective. However, I would argue that whatever you believe about the future invariably affects the way you interpret the meaning and purpose of life, as well as how you cope with mortality, and this does come through in some of his conclusions. The book begins with a description of physical changes that happen as people age, beginning at age 35. Next, Atul Gawande gives a brief history of nursing homes. I found this part very interesting. About 50% of Americans die in nursing homes. Some might say this is very sad, which in some ways it is – however, understanding the way that most people died in the past makes you see that this is actually a great improvement over 100 years ago, when many people died in state-funded “poor houses” which even at their best had awful conditions. He then goes on to describe the development of “assisted living” facilities, and how many have now deviated from their original purpose and design. He also tells stories of people who have sought to improve these facilities through innovation, such as bringing living things, e.g. plants, animals and children into these homes to improve residents’ quality of life. While the author does say that the older model of a multi-generational home in which elderly people are cared for at home until they die has some benefits, he also shows its limits and downsides, using his own grandfather as an example. Atul also describes the benefits of palliative care for elderly people, which is focused on improving a person’s quality of life rather than on invasive treatments which may reduce a dying person’s quality of life even though they have little to no chance of curing them or significantly prolonging their life. Even though palliative care has been shown to help improve and often prolong a person’s life, one of the sad things Gawande points out is that many insurance providers have stopped paying for palliative care, but they continue paying for invasive treatments, even if they are unnecessary or unhelpful to patients. This perpetuates a cycle of doing everything possible for patients, even if those treatments are not likely to lengthen their life and will probably make their quality of life worse. He argues that as people live longer and more die of old age, we should be focused on helping people stay in control of their lives as long as possible, achieve their goals, and die with dignity. It is impossible to talk about dying without some sort of existential discussion about what gives life meaning and purpose. At one point, Atul Gawande references the Harvard philosopher Josiah Royce, who said that “simply existing – merely being housed and fed and safe and alive – seems empty and meaningless to us.” He goes on to explain that we all seek a cause beyond ourselves, and it is in ascribing value to the cause and seeing it as worth sacrificing for, that gives our lives meaning. Royce said that this reason for living was the opposite of individualism. An individualist puts self-interest first, seeing his or her own pain, pleasure and existence as their greatest concern. For the individualist, self-sacrifice makes no sense, but since their own self is the highest cause for which they live, their life has no meaning other than to make themselves happy. Ironically, it is for this reason that happiness and satisfaction will always elude them. For the individualist death is meaningless and ultimately terrifying. It is for this reason, Gawande explains, that we all need something beyond ourselves and outside of ourselves to live for, and this is why elderly people who have pets, for example, tend to live longer lives. The problem with Gawande’s search for meaning, is that he has identified a real need, and yet he basically says in the end that since he doesn’t believe there is anything beyond this life, therefore it is better to give someone the illusion that their life has meaning and purpose and value beyond themselves, even though no such thing really exists. He does mention that people want their lives to make a difference after they are gone, but what he fails to answer is: to what end? Why should anyone care about what happens after they are gone, if life is actually meaningless, and after this light burns out there is only darkness? From this same logic, a totally selfish existentialism could also be argued for – such as that of the Epicureans: “Let us eat and drink, for tomorrow we die!” – in other words #YOLO – since we only live once, who cares what destruction we leave in our wake for others to deal with?! It’ll be their problem, not ours! In this search for meaning and purpose, I would argue that it is only the gospel message of Jesus Christ which gives a satisfactory answer to humankind’s search for meaning and hope beyond this life. It is only the gospel which gives us real hope beyond this life, and a real mission in this life which has more than just illusionary results. In the gospel we have hope for life beyond this one, and the effects of our mission are eternal in nature. In order to truly “die well”, what we need is not just dignity, but HOPE. And this is found only and ultimately in the gospel message of Jesus Christ. I would recommend Atul Gawande’s Being Mortal. It was full of important thoughts about the process of dying in Western society today. However, I recommend reading the book with an eye to its one glaring shortcoming: it fails to address the need for and the source of HOPE both for this life and the one to come. A lot of the topics that I write about here are inspired by conversations I have or questions I’ve received from readers. In order to better serve you with content that is relevant to questions that you have about the Bible, culture or current events, I created a new page with a form that can be filled out to submit a question or suggest a topic. I have to admit, the only time I think about the Gillette razor company is when I am rooting against the New England Patriots. But Gillette is in the news right now because of a new ad campaign encouraging men to be the best they can be, speaking out against bullying and sexual harassment. My two cents: When popular culture gets something right, i.e. champions things which align with biblical values, it’s an example of “common grace” and we as Christians should be quick to affirm it as well. Remember: our God is a champion of the weak, he chooses the outsider, and aligns himself with the marginalized. The prophetic books particularly speak out again people who call themselves “believers”, and yet they act as bullies and abusers. God takes a stand against such actions, and aligns himself with the weak. Jesus and his followers elevated the place of women and showed them honor and respect in a world that considered them less than men. For more on this, check out the recent sermon on Amos, called Faith that Works from our Remember the Prophets series. October 31 is known as All Hallows Eve, the night before All Hallows (All Saints Day), AKA Halloween. In the Protestant world, October 31 is Reformation Day, commemorating the day when Martin Luther nailed his 95 Theses to the door of Wittenberg castle church in 1517, which is generally acknowledged as the beginning of the Protestant Reformation. On further examination, this may not be exactly how it happened — see What Really Happened on October 31, 1517? How Should Christians Handle Halloween? One of the big questions I’m often asked this time of year is how Christians should relate to Halloween. Ignore it / Protest it. This often manifests in things like refusing to hand out candy to kids who trick or treat, turning off the lights, leaving the house, etc. Have alternative events for people to attend, such as “Trunk or Treat” in the church parking lot, or a Harvest Festival. These are often billed as “safe alternatives to Halloween”, which implies that going trick or treating in your neighborhood is not safe. Whether this concern is for physical safety or spiritual safety is not always clear, but my assumption is that the latter is in mind. Besides the fact that teaching children to go approach strangers’ cars to get candy out of their trunk is probably not the safest idea, these events try to create a fun fall atmosphere without the dark/evil underpinnings of Halloween. To be clear, while many churches host fall festivals, what I have in mind here is specifically those which are held on October 31 as alternative events that compete with Halloween. Some churches straight up celebrate Halloween by having parties, etc. We serve a God who has defeated sin, death and the devil. Colossians 2:15, speaking of the forces of evil, says that He (God) disarmed the rulers and authorities (evil or demonic forces) and put them to open shame, by triumphing over them in him (Jesus). God has left us in this world and given us a mission, to reach people in His name. There are certain things which you can only do in this life, which you won’t be able to do in Heaven — particularly: evangelism. Jesus himself is our example in this, that he left the security and sanctity of heaven and entered into our fallen, sinful world, full of evil and darkness, in order to bring salvation to us. This is the only day of the year, when most of your neighbors are going to come knocking on your door. The only day. This is missional gold! How can you use the unique opportunity that this cultural moment presents? I certainly would agree with those who say that Christian churches should not host Halloween celebrations, however, I would argue that churches ought to encourage Christians to take advantage of this unique cultural moment for the purpose of God’s mission. Hosting alternative events on October 31 that take people out of their neighborhoods, therefore, is, in my opinion, unwise and communicates the wrong message — both to Christians and their neighbors. Tonight, my two year old will be dressing up as a tiger. She told us last night that her name when she wears her costume is “Adventure Tiger”. We will be going out to our neighbors houses, knocking on their doors, chatting with them, getting to know them — and, as we do every year, we will be inviting them join us at to our church. After that, we will put our fire pit in our driveway, start a fire in it, brew a bunch of coffee, and invite our neighbors to come hang out and chat, meet each other, talk about life, etc. — and we will pray and trust that God will use those conversations and relationships as inroads for us to ultimately share with them the hope that we have in Jesus. If Jesus can go straight to hell, stare death and devil in the face, win and come back alive, can’t we open our doors to the 6 year old in a Batman costume and his shivering mom? May God help us to make much of Jesus today (and every day)! Americans still believe in God, so why do so many of us see it as just optional rental car insurance? The article cites research which shows that despite the fact that 80% of Americans believe in God, church attendance is decreasing. Americans aren’t necessarily giving up on God, they’re just not going to church like they once did. Contributing factors are our American culture, which is radically individualistic. It’s not a stretch to say that our modern Western culture is the most individualistic culture which has ever existed in the history of the world. Furthermore, the Bible has been placed in the hands of the people. No one has to go to church any more in order to hear what the Bible says. Sermons are available via podcast and there are more Christian books on the market than one could probably ever read in a lifetime. Thus, people are increasingly considering church to be optional rather than vital. The author of this article, a pastor, argues that the church as a community is irreplaceable and meets a deep spiritual need. I am currently reading Martyn Lloyd Jones’ classic Preaching & Preachers, based on a series of lectures he gave back in 1969. Interestingly, he mentions the same issue as having existed at that time as well; the availability of journals, books, radio and television broadcasts of sermons or other Christian content had led many people to opt out of church because they felt they could feed their souls and connect with God on their own via these mediums, apart from the local church. “This is a wrong approach because it is too individualistic. The man sits on his own reading his book. That is too purely intellectual in its approach, it is a matter of intellectual interest. The man himself is too much in control. What I mean is that if you do not agree with the book you put it down, if you do not like what you are hearing on the television you switch it off. You are an isolated individual and you are in control of the situation. Or, to put it more positively, that whole approach lacks the vital element of the Church. Now the Church is a missionary body, and we must recapture this notion that the whole Church is a part of this witness to the Gospel and its truth and its message. It is therefore most important that people should come together and listen in companies in the realm of the Church. That has an impact in and of itself. I have often been told this. The preacher after all is not speaking for himself, he is speaking for the Church, he is explaining what the Church is and what these people are, and why they are what they are. Not only that, when a person comes into a church, to a body of people, he begins to get some idea of the fact that they are the people of God, and that they are the modern representatives of something that has been known in every age and generation throughout the centuries. This makes an impact. The person is not simply considering a new theory or a new teaching or a new idea. They are visiting or entering into something that has long history and tradition. He then goes on to tell the story of a woman who had been involved in occult practices, who one time entered one of his church services when he pastored a small fellowship in Wales. She continued coming and eventually converted. When asked what kept her coming when she first started attending, she said that she sensed a “clean power” in their midst. We live in the most wealthy, technologically advanced society that has ever existed in the history of the world, and at the same time there are incredibly high rates of depression and mental illness which lead to suicide and acts of violence. One key question many people are asking is: Why? What is the cause of the increase in depression and mental illness in developed countries? The late Dutch psychiatrist J. H. van den Berg wrote and researched on the topic of psychopathology and he wrote a highly regarded book on the subject titled, A Different Existence: Principles of Phenomenological Psychopathology. This is particularly interesting in light of the fact that it is generally recognized that Western society is experiencing loneliness at higher levels than ever before. Our time has been called “the age of loneliness.” Although we are more connected than ever before via the internet, the internet itself is exacerbating the problem. How Do We Break Out of this Toxic Cycle? One really important factor is that we must recognize that Western society has been sold a bill of goods related to individualism and the “autonomous self”. American culture, in many ways, is permeated by a culture of fear and an obsession with privacy. We have been told since the Enlightenment that this is the ultimate path to happiness, but the above data shows just how much it has left us in tatters. In other words: part of God’s work of salvation through Jesus includes saving people out of individualism, calling them into redeemed community which has a mission and a purpose bigger than any individual member. Clearly this presents a powerful antidote to the modern pathological phenomenon of loneliness and isolation. The gospel is a holistic remedy which addresses the greatest needs of the entire person: soul, mind and body. It is truly good news. 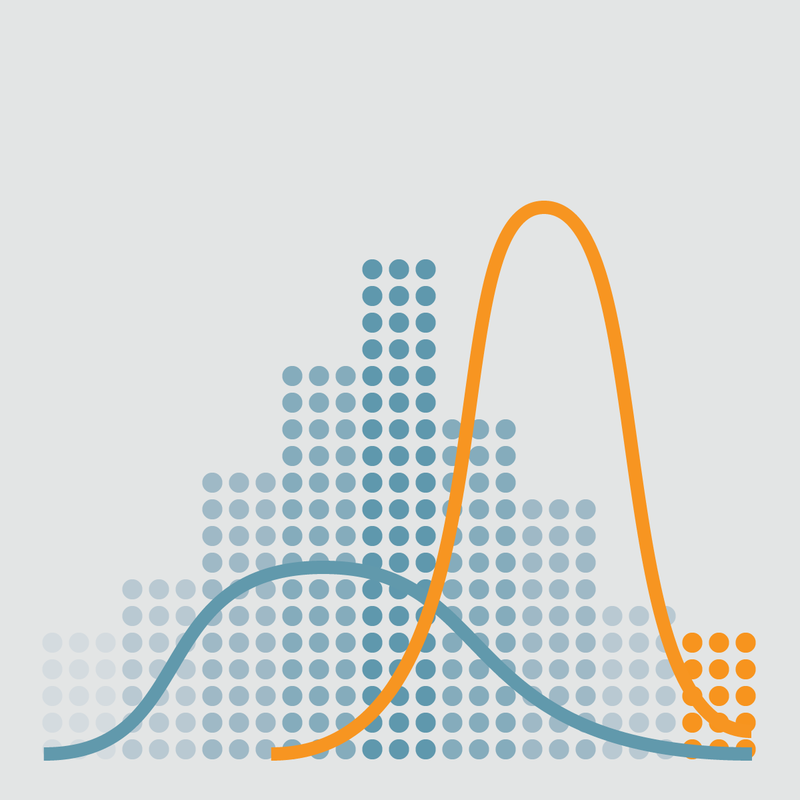 Statistically Speaking, What Happens When Men Go to Church? Did you know that Mother’s Day is the third most highly-attended church day of the year in the United States? Did you know that Father’s Day, only one month later, is the least attended church day of the year? One of my most popular posts on this blog has been one I wrote on this topic, titled: The Impact on Kids of Dad’s Faith and Church Attendance. In this post I looked at statistics for what impact it has on kids’ faith later in life if their dad practices his faith and attends church. What the statistics show is that while moms have some influence, their influence is minor compared to dad’s. That’s not a knock against moms, it’s a wake-up call to dads. Local father Trevor Michelson, 48, and his wife Kerri, 45, are reeling after discovering that after 12 years of steadily taking their daughter Janie to church every Sunday they didn’t have a more pressing sporting commitment—which was at least once every three months—she no longer demonstrates the strong quarterly commitment to the faith they raised her with, now that she is college-aged. There are many who might argue that to be a Christian isn’t about going to church. I agree. But then some people go one step further and say, Therefore we don’t need to go to church. To take that step is to go beyond what the Bible teaches. Is Christianity about going to church? No. Do you need to go to church if you are a Christian? I would say: Yes. Here are some reasons: Growth, encouragement, instruction and exhortation, reminding, fellowship (especially with people who you wouldn’t generally choose to spend time with), corporate worship and singing. In a previous post, Why Go to Church if You Already Know it All? Here’s Why:, I referred to a book by James K.A. Smith, in which he writes about how what we do affects who we become. Our regular practices shape us into certain kinds of people. Going to the mall, school, work, shapes you into a certain kind of person. Therefore it is important that we wisely choose what kind of people we ought to become and invest time in practices which shape us into those kinds of people.